Will my insurance company pay for windshield repair? 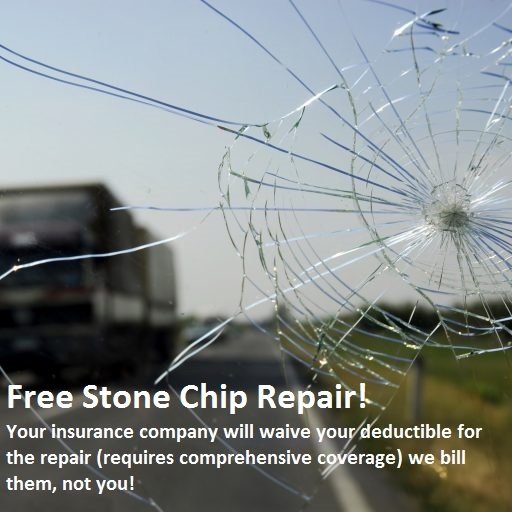 Yes, all insurance companies will waive your comprehensive deductible for stone chip repair because it is cheaper for them to pay for repair, rather than the expense of replacement. It is preventative maintenance. Will a chip repair make my insurance premium go up? No, because a repair costs so much less than replacement. You would have to have 8 or 9 repairs before it would exceed the cost of the average windshield. How can I be absolutely certain it will not cost me? Just call our pro at Nu-View, and we will get everything authorized for you. I don’t have much time at all during the week, how can I get this done? Nu-View can come right to your home, office, or anywhere your car might be. The stone chip repair process only takes 20 minutes, and you can drive your car right away! How much is a chip repair if I don’t use my insurance? The average cost is about $50.00. How long do repairs last? We have a lifetime, money back warranty. This from a company that has been doing repairs for over 21 years as Nu-View Auto Glass Inc.
A small device is attached to the windshield over the spot. Air is extracted, then, an injection process is done to fill in the crack. No, Nu-View can assist you with the insurance claim. How long does it take for a windshield replacement? Approximately 1 hour. Nu-View uses two technicians to assure proper installment and safety. Can I drive my car right away? Yes, but you must use caution. Our technicians will go over instructions. Yes! You will have a limited lifetime warranty on repairs and replacements. Do I have to bring my car in for a windshield replacement? No. We have mobile service available. We can come right to you. Can Nu-View help me out with my deductible? Yes, give us a call, we will work with you.